*Mucosal catheter electrodes are for research purposes only. Diagnostic sensory nerve evaluation of the urethra. Neuro-selective sensory nerve evaluations for both myelinated and unmyelinated fibers. Catheter Description: A flexible 9Fr urethral catheter with an electrode and inflatable cuff at its tip. 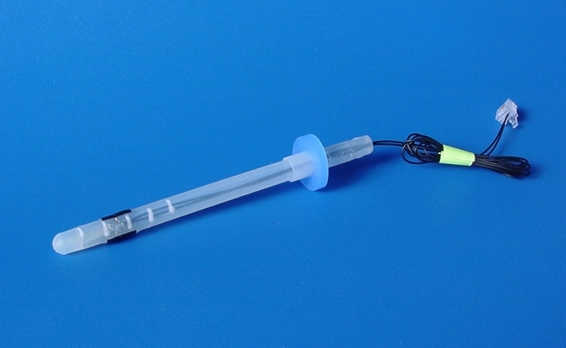 The catheter's proximal end has a Luer-Lok connector (illustrated with yellow cap) for cuff inflation (up to 3 mls air). The cuff is located between the tip and the electrode (black) surface of the catheter. 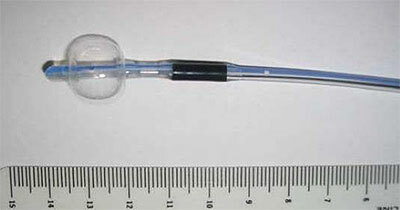 The urethral catheter electrode connects to the standard Neurometer® electrode extension cable. 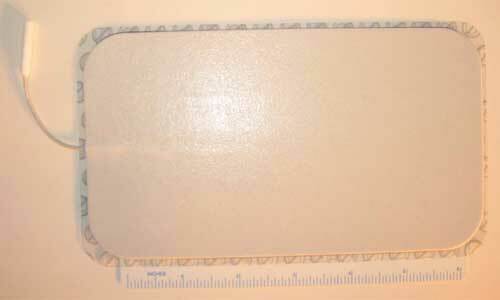 The catheter electrode is used in conjunction with a skin current dispersion electrode. Tip with inflated cuff balloon. 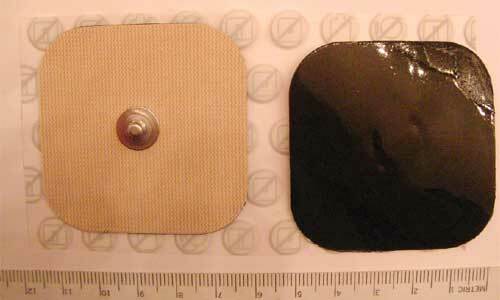 Black electrode is adjacent to balloon. 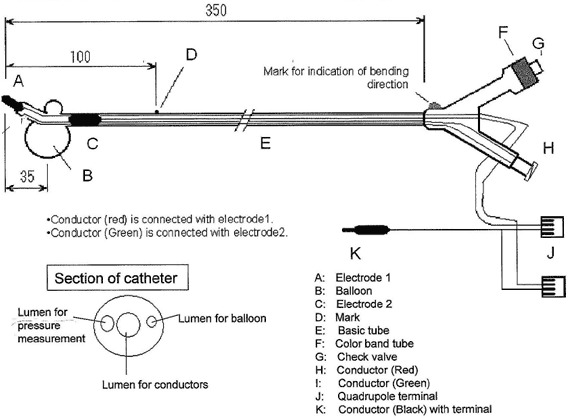 Catheter Electrodiagnostic Procedure: The catheter is inserted into the urethra until the tip enters into the bladder. 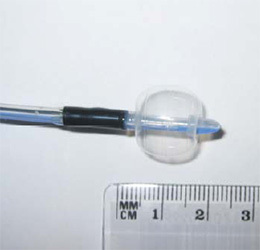 Then, using a syringe connected to the Luer-Lok, air is injected to inflate the cuff. Afterward the catheter is gently lowered until the cuff locks it’s position at the neck of the bladder. This localization permits transmucosal electrical stimulation to be administered at a standardized fixed urethral location. Electrical sensation is detected only at the catheter electrode and not at the current dispersion electrode. Urethral neuro-selective Current Perception Threshold (CPT) measures are obtained using the Neurometer® CPT/C device. Tip with inflated cuff balloon. Black electrode is 1 cm before balloon. 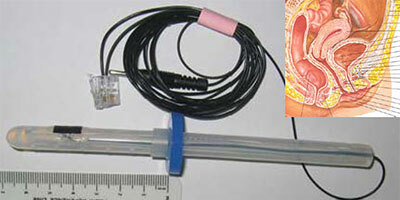 Urethral/Bladder Catheter Electrode with Lumen - 12Fr. due to extremely low current density. 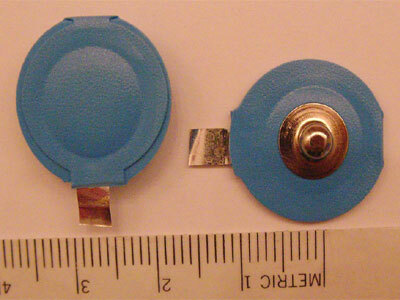 The large dispersion electrodes measure approximately 4 cm x 9 cm. 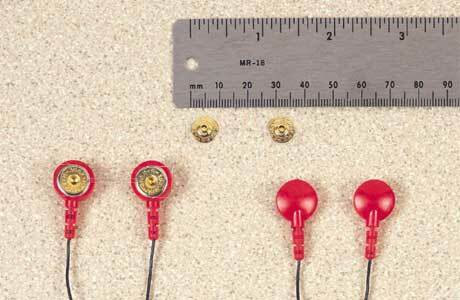 Note: One or two dispersion electrodes are used in combination with each catheter electrode. They may be placed on the thigh, abdomen, palms, soles or any preferably hairless site. Custom design cables are available.